Below you will find CBSE 12th Date Sheet 2019, CBSE Board 12th Class Time Table, Schedule for Arts, Commerce and Sciences stream. CBSE 12th Time Table 2019 is mentioned here for the students of class 12th. The time table for the exams has been finalized and released by the CBSE so that the candidates can commence the preparation of the examination as accordingly. It is quite mandatory to know the exact date sheet of the examination before the commencement of preparation as it gives the idea regarding the time left for the particular examination. Check the latest updates regarding the CBSE 12th Time Table 2019 here. Click here to download CBSE 12th Date Sheet 2019. Freedom International offers curriculum and syllabus as per Central Board of Secondary Education (CBSE). Gear Innovative International School is one of the formost institution and is catalytic centre for education activities. Global Indian International School is a leading school, providing immense educational service. 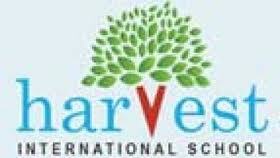 Harvest International School is a well-known institution, started in the year 2010.